I have already squeed about this on my Facebook page, but I am immensely delighted and proud to be part of the newly-announced Twelve Planets series, being published by Twelfth Planet Press. Twelve Planets will be a series of 12 short collections of short stories by 12 Australian women writers, including the superb talents of Lucy Sussex, Tansy Rayner Roberts and Deborah Biancotti. 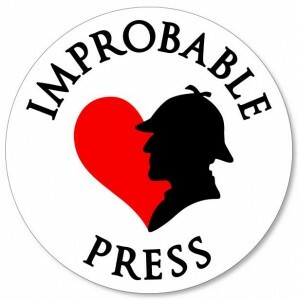 I’m so excited at the prospect of being of their number, of working with Alisa Krasnostein and Twelfth Planet Press, who have been publishing such amazing anthologies and novellas over the last few years. Although my four stories are yet to be finalised (I submitted five), one of them is my zombie tale, The Truth About Brains, which was published in 2010 in Best New Zombie Tales Volume 2. As it happens, this story is eligible for nomination in this year’s Chronos Awards, presented every year at the Continuum convention. If you have read it and consider it worthy of nomination, you can send your nomination in to the committee via email at awards@continuum.org.au or by leaving a comment on this Livejournal entry. If you haven’t read The Truth About Brains and would like to, you can buy a copy of Best New Zombie Tales Volume 2 in either Kindle or paperback from Amazon.com, or for $25 (inc postage in Australia) you can get it from me. Just email me at narrelle@iwriter.com.au to find how to arrange this. In any case, get in touch with me if you’d like to read it and I’ll arrange it somehow!